This year Mesa made a heck of a lot of progress on advancing open-source 3D driver support for Linux and other operating systems. While Mesa isn't yet caught up with OpenGL 4.5, over the past twelve months there was a heck of a lot of progress made on OpenGL 4 support. This time last year core Mesa and the drivers were still limited to OpenGL 3.3 compliance while in 2015 we've seen core Mesa reach up to OpenGL 4.2 support. The AMD RadeonSI and R600g drivers have raised up through OpenGL 4.1 (though R600g is limited in what supports GL4) and the Nouveau NVC0 driver is at OpenGL 4.1 as well. The Intel Mesa driver is still at OpenGL 3.3, but they are extremely close to OpenGL 4.2 and should hit that milestone in early 2016 after having been recently focusing up on OpenGL ES 3.1 support, which they did achieve this year. Besides tackling more GL4 support, Mesa this year has seen the new VirtIO GPU driver for 3D support in guest VMs, continued work on the new Raspberry Pi 3D driver (VC4), video encode/decode improvements, and other Gallium3D state tracker highlights. Of the nearly 200 Mesa news articles I wrote in 2015, below is a top ten list of the most popular Mesa articles for those wishing to reminisce over the progress made this year. Mesa 11.0 has been officially released this morning! Mesa 11.0 is a huge, unbelievable upgrade for open-source graphics drivers. While Mesa currently has the swrast, LLVMpipe, and Softpipe drivers as software rasterizers that run OpenGL on the CPU rather than any dedicated GPU, a team at Intel has been developing a new, high-performance software rasterizer. This Intel team hopes to upstream their new "OpenSWR" project into Mesa as offering fast, CPU-rendered graphics. Ilia Mirkin, the independent developer known for his contributions to the open-source Nouveau and Freedreno graphics drivers, has implemented another OpenGL 4.5 extension in core Mesa and exposed it for the Intel i965 graphics driver. Mesa Git master was branched into Mesa 10.5 this weekend and the latest Git code then bumped to Mesa 10.6-devel. 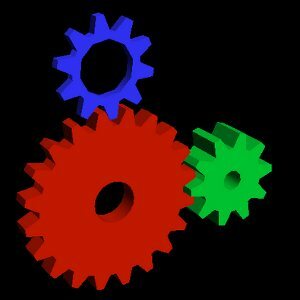 While Mesa 10.5 is a step closer to being released, officially it still only supports OpenGL 3.3. Emil Velikov announced the much anticipated release of Mesa 10.5 this evening, which is the quarterly update to this open-source (primarily Linux) user-space graphics stack. With the latest Mesa patch series by Chih-Wei Huang of Android-x86, the AMD RadeonSI Gallium3D driver is to be enabled. NIR, the new IR for Mesa that's better than the status quo (GLSL IR), has finally landed inside mainline Mesa. For those not courageous enough to be riding Mesa Git for the very latest open-source graphics driver features, Mesa 11.0.1 was released this morning as the latest stable build. The open-souce QEMU/KVM stack with VirtIO will finally be able to have guest 3D/OpenGL acceleration that's backed by the GPU/driver of the host system! While VMware and VirtualBox have long had guest 3D support backed by the host's hardware, it's taken a while for the open-source Linux virtualization stack to gain this functionality. Earlier this week I posted some benchmarks showing NVIDIA's Linux Driver Continues Running Strong Against The Windows Driver that also included the open-source Nouveau driver results in the mix too. However, due to using the Nouveau driver, the newest GeForce GTX 970/980 graphics cards were left out of testing as the open-source driver doesn't yet fully support these newer Maxwell GPUs. In this article though we're going back to compare the Windows vs. Linux performance of these two high-end NVIDIA GPUs at a UHD 4K resolution too. As it's been a while since last running any large OpenCL benchmark comparisons, here's some updated figures for a wide-range of AMD and NVIDIA graphics cards. In total twenty-two graphics cards were tested with the latest AMD and NVIDIA drivers to see the current OpenCL GPU performance. Following this weekend's Radeon R9 Fury open-source Linux driver tests with the DRM-Next code to be merged into Linux 4.3, the latest Mesa 11.1-devel Git code, and LLVM 3.8 SVN for the AMDGPU compiler back-end, I proceeded to run some bleeding-edge open-source Radeon Gallium3D graphics versus AMD Catalyst Linux benchmarks on Ubuntu. With the Linux 4.2 kernel settling down nicely and AMD developers having already sent in a few round of fixes for their new AMDGPU kernel DRM driver, I've started testing out this new kernel driver -- plus the new xf86-video-amdgpu DDX and the associated new Mesa/LibDRM code -- that is providing the open-source accelerated graphics support for Tonga and all new/future GPUs like Carrizo and Fiji. With the big Catalyst 15.7 Linux driver update released last week and the continued evolution of the open-source AMD Linux driver in the Linux kernel and Mesa Gallium3D, here are fresh benchmarks of six different AMD Radeon graphics cards when being tested on both the open and closed-source drivers to represent the AMD Linux gaming experience this summer. With the forthcoming Linux 4.1 kernel there is finally out-of-the-box acceleration for the NVIDIA GeForce GTX 750 series on the Nouveau driver. With the Nouveau DRM/KMS driver able to self-generate the needed firmware/microcode to enable acceleration, it's quite easy to get running. However, the performance leaves a lot to be desired. Before ending out March, here's some new OpenGL Linux benchmarks comparing the closed-source Catalyst 15.3 Beta driver against the Linux 4.0 development kernel with Mesa 10.6 Git for the freshest open-source graphics driver code. Following the recent Phoronix article about the state of DRI3 for X.Org drivers, many in the forums began discussing DRI3. While the Intel and Radeon X.Org drivers don't yet enable Direct Rendering Infrastructure 3 by default, I decided to run some fresh OpenGL benchmarks with a few Radeon graphics cards to compare the performance of DRI2 and DRI3. While leaked slides indicate AMD was planning better gaming on Linux for Crimson, in the end they really didn't deliver. Even for their mentioned games, when testing various Linux OpenGL games on three different systems the performance was largely unchanged. Following this week's OpenGL 4.1 R600g benchmarking with that newly-enabled OpenGL 4 support, I set out to run a larger hardware comparison on both the R600g and RadeonSI drivers as part of our year-end 2015 Linux benchmarking. In this article are tests of seven AMD Radeon graphics cards tested on the proprietary driver compared to the latest open-source driver stack -- with extra steps of enabling DRI3 rendering and also using the latest AMDGPU PowerPlay code.